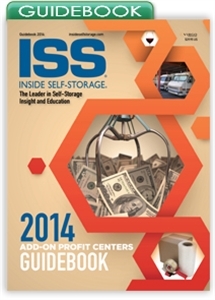 This Guidebook examines several ancillary products and services self-storage operators can deploy to meet consumer demand, expand their customer base and generate more revenue. Unit rentals are the core of any self-storage business, but as market competition has increased, many operators have explored ancillary products and services as a means of meeting consumer demand, expanding their customer base and ultimately generating more revenue. This Guidebook provides a substantial overview of the common add-on profit centers being used by facility operators today as well as some newer avenues to discover. You’ll learn about retail sales and merchandising, pack and ship centers, boat and RV storage, mobile/portable storage, truck rental, cell-tower leases, and more.